The Redfern-Waterloo Authority (RWA) has released the Stakeholder Engagement Report for the Built Environment Plan 2 (BEP 2). 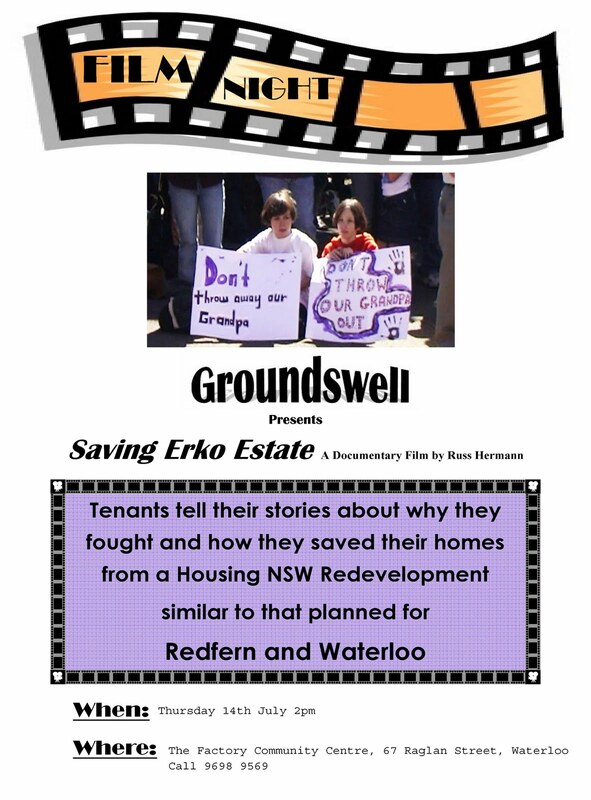 Undertaken by an independent consultant, Mediate Today, the report outlines the community feedback on the draft BEP 2, a planning framework for the renewal of social housing sites in Redfern-Waterloo and South Eveleigh over a 20-25 year timeframe. The report concludes that a large number of respondents (across all stakeholder groups) generally support the potential changes that BEP 2 outlines. Key findings from the feedback forms are: residents want a safe environment; development caters for the needs of specific groups; and open space encompasses areas for vegetation and recreational facilities. 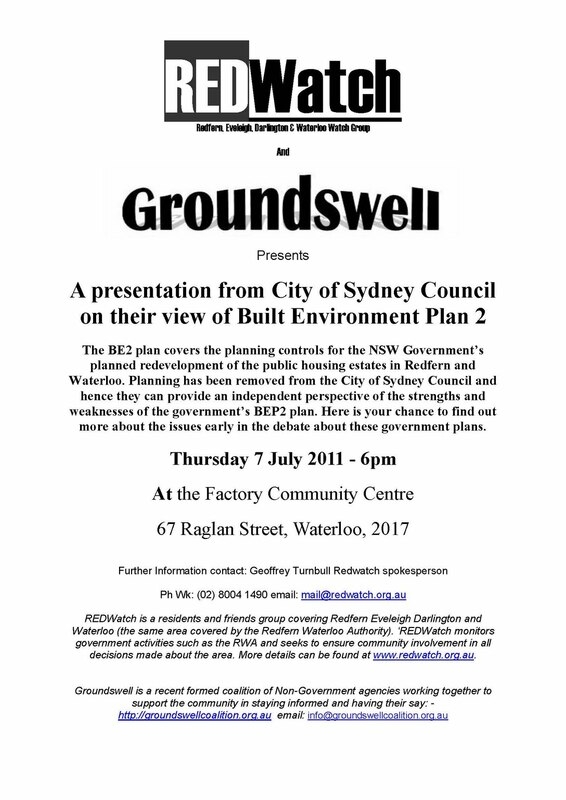 The Stakeholder Engagement Report will be used in preparation for further studies of the Redfern-Waterloo area and will consider the issues raised in the BEP 2 submissions about providing more detail on the design and allocation of open space and the social impacts of the changes and how these will be supported in the future. The RWA recognises the need to have a far reaching consultative process during this process. 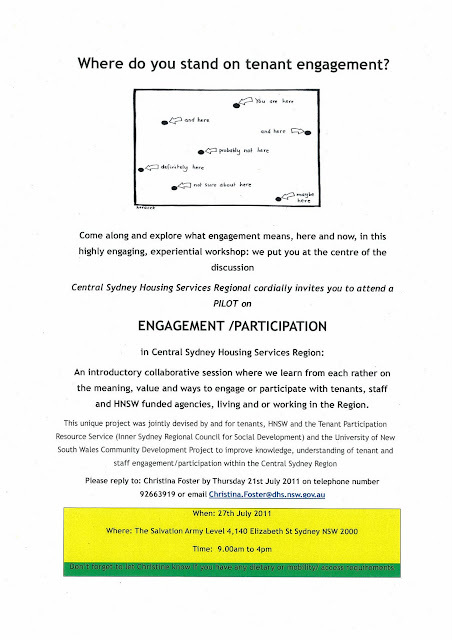 The Sydney Metropolitan Development Authority (SMDA) and Housing NSW have appointed Cred Community Planning to prepare a report considering future community facility needs in the Redfern-Waterloo area. To date, Cred Community Planning has discussed community facility needs with a number of residents at three of RWA's BEP 2 Community Information Sessions and at two community barbeques. Workshops with non-government and government agencies have also been held. Additional consultation regarding community facilities will continue. 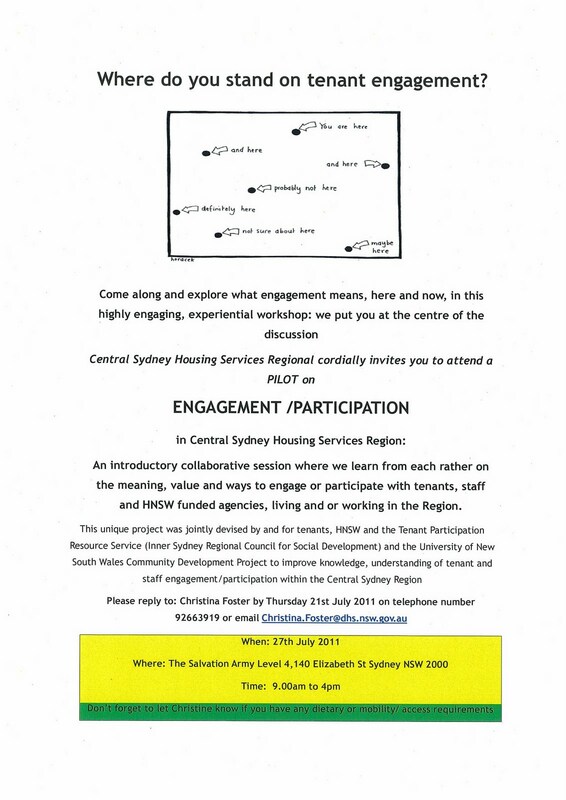 SMDA and Housing NSW recognise that community engagement and capacity building are integral to future planning. As part of its commitment, Housing NSW has initiated a Master Plan Expo to inform the community regarding the Preliminary Master Plan for Redfern and Waterloo social housing sites. 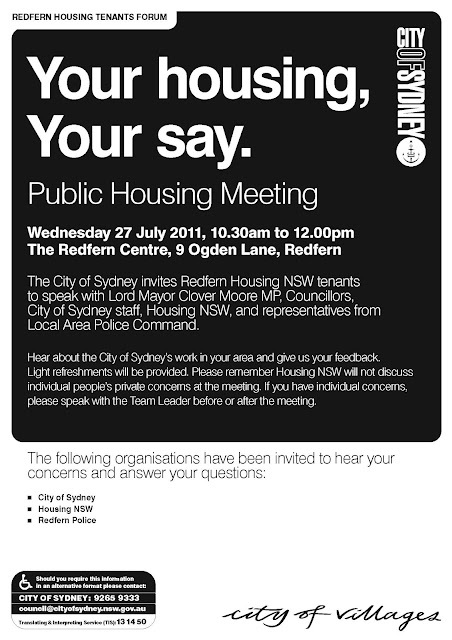 In addition to the Expo, which is being held on Saturday, 20 August 2011 at REDWater Markets, other activities and workshops will be held in the near future on connecting shops and community services, streets, parks and building design. What do you know ..? Where do you Stand on tenant engagement?